If at this moment you are buying a new smartphone, we would probably choose Oukitel K5000. Since October 24 began selling, and here are most important reasons why I like this smartphone. Therefore when we’re speaking about pre-sale, then for more information you can find on Oukitel official website. But from what we can see it is actually very interesting smartphone, and we will tell you why Oukitel K5000 is a great choice. It has 5.7 inch screen with a 18: 9 aspect ratio including at the same time a very thin case. But this is not all because it has also Samung and Sony cameras for reaer and front camera. From other information we can tell you that it has high capacity battery of 5000 mAh. Also you have a chance to buy now at lower price in pre-sale for $149,99 at Tomtop. 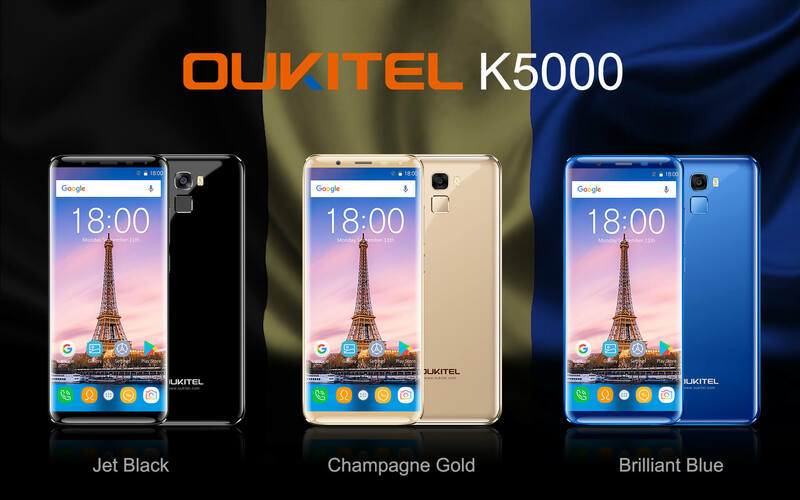 As we mentioned earlier, to give you the best information and feel about Oukitel K5000 smartphone, below we bring you the most important reasons why it’s worth buying. 5.7 inch screen with HD + resolution of 720 x 1440 pixels – The new HD + screen will give you more content, but also a brighter and sharper image than the older classic HD screen. Also, it consumes a lot less battery than FHD screen. Front 21 MP Samsung Camera and 16 MP Back Camera Sony IMX135 Camera – The first company’s smartphone that embodies both Samsung and Sony’s camera will both capture great photos, better than expected. Powerful SCUD battery with high capacity of 5000 mAh. With this smartphone you will think about charging very rarely. 4 GB of RAM with 64 GB of internal memory which you can additionally upgrade with microSD up to 128 GB. Also under the hood Oukitel K5000 has powerful 8-core MediaTek MT6750T processor which it allows you to run up to 50 applications simultaneously. Quick charging – 9V / 2A via the USB Type-C .
Fast and precise fingerprint reader . If these are not enough reasons for the purchase then we don’t know what are. Also don’t forget that at this moment you can buy it at lower price here at Tomtop.